We have had great weather so far this summer, even if Hurricane Bertha was a minor blip, and there are still plenty of events to enjoy before the summer holidays end and autumn arrives. 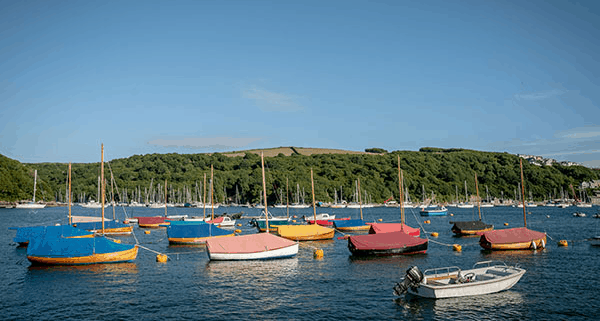 Visitors from around the world flock to Fowey to enjoy Regatta Week – one of the UK’s best known sailing events, which takes place this year from 17 – 23 August. As well as an action-packed programme of races, there are lots of other events taking place during the week, from fireworks and Red Arrow displays, live music performances daily and a Giant Pasty ceremony – there really is something for everybody! For one night only, the Chamber Philharmonia Cologne will be performing at St. Fimbarras Church in Fowey on Friday 29th August. You don’t need to be a classical music expert to enjoy the diverse programme which will include favourites ranging from Vivaldi’s Four Seasons to Mozart and Tchaikovsky. Tickets are available through Fowey Tourist Information. Esedhvos Kernow is a week-long festival, taking place from 1 – 7 September celebrating Cornwall and Celtic heritage. This year the events leading up to the annual Gorsedh ceremony take place in Torpoint and include a Cornish Book Fair, live music, photographic displays and a grand procession of Bards. For those who love the sea and like the idea of watching it on the big screen, head to Hall for Cornwall on Thursday 4 September as it plays host to The International Ocean Film Festival UK. It is set to be a fantastic evening and an opportunity to watch some of the world’s most amazing ocean-themed short films. Heritage Open Days take place from 11-14 September with twenty different sites across the Duchy getting involved this autumn. The weekend offers the perfect opportunity to visit and access places around Cornwall that aren’t usually open to the public or generally charge admission. Enjoy a wide range of tours, activities and events at sites across the county, from a free guided tour of Trengwainton Garden near Penzance to a special World War 1 exhibition at Cotehele House. If you enjoy exploring the countryside on foot, there are a number of organised walks around South East Cornwall taking place from 13 – 20 September. Walks range in distance and difficulty but choose the right one for you and this is a great chance to see the surrounding area. For those visiting later in the month, there are two walks organised for the following week as part of the Great South West Walks Festival. For further information on how to sign up, check out the website. Previously Cornwall Food & Drink Festival, the Great Cornish Food Festival returns to Truro from 26-28 September. Now in its eleventh year, the Festival is the best place to discover all that Cornwall’s talented food producers have to offer, and there is a packed programme of events taking place during the three days, with demonstrations from top chefs including Nathan Outlaw, Jack Stein and Andy Appleton from Fifteen Cornwall. It is a free event and there is no need to book – just turn up! On Sunday 28 September, Polruan Village Hall will be hosting a Vintage and Handmade Fair. With lots of interesting stalls to browse, there will also be a chance to enjoy a cream tea or Pimm’s on the verandah and soak up the stunning views of the Fowey Estuary while listening to the sounds of fabulous 40s swing music.